For the FXX animated television series, see Major Lazer (TV series). Guns Don't Kill People... Lazers Do is the debut full-length studio album by the American electronic dance music band Major Lazer, which at the time consisted of Diplo and Switch. The album is heavily influenced by Jamaican dancehall music and features guest appearances from Jamaican artists on every track. Free the Universe is the second full-length studio album released by Major Lazer, collaborative music group headed by record producer Diplo. The album was released on April 16, 2013, and features appearances by Vampire Weekend's Ezra Koenig, Dirty Projectors' Amber Coffman, Santigold, Peaches, Tyga, Flux Pavilion, Bruno Mars, Wyclef Jean, Shaggy, and more. The album peaked at No. 34 in both the Billboard 200 and the UK Albums Chart. David James Andrew Taylor, better known his stage name Switch, is an English DJ, songwriter, sound engineer, and record producer. He is best known for his work with M.I.A.. In the fidget house genre, Switch runs his own music label "Dubsided", as well as the label Counterfeet, established in 2006 with fellow producer Sinden. He has released various singles under his own name, and is also well known for remixing and producing for many major artists. He is a former member of the American electronic dancehall group Major Lazer. Mathangi Arulpragasam, better known by her stage name M.I.A., is an English rapper, singer, songwriter, record producer, and activist. Her stage name is wordplay on her name as well as a reference to the abbreviation for "Missing In Action". Her work combines elements of alternative, dance, electronic, hip hop, and world music. Downtown Records is an American independent record label based in New York City with offices in Los Angeles. Owned and operated by Josh Deutsch and Terence Lam, the roster includes Nick Murphy, Brett Dennen, Electric Guest, Tei Shi, Goldroom, and Tommy Genesis. Eric Alexander Wareheim is an American actor, comedian, writer, director, and musician. He is one half of the comedy duo Tim & Eric, alongside Tim Heidecker. They created the television shows Tom Goes to the Mayor, Tim and Eric Awesome Show, Great Job!, Check It Out! with Dr. Steve Brule, and Tim and Eric's Bedtime Stories. He has a recurring role on the Netflix series Master of None. The MTV Video Music Award for Breakthrough Video was first awarded in 1988, replacing the award for Most Experimental Video. Along with Best Direction in a Video, this award was considered to be one of the most important professional categories at the VMAs, as every once in a while it was even presented during the main show. The award for Breakthrough Video was given out every year from 1988 to 2005, after which it was retired. In 2009, however, MTV decided to bring back this category and continued to present it until 2011, when it was retired again. R.E.M. and Fatboy Slim are the two biggest winners of this award, as they each have won it twice. Art of Noise, meanwhile, is the only artist or group to have won this award under its two incarnations: Most Experimental Video in 1985 and Breakthrough Video in 1989. FIFA 10 is the 17th title in EA Sports' FIFA series of football video games. Developed by EA Canada, it was published by Electronic Arts worldwide under the EA Sports label. It was released on 2 October 2009 in Europe, 1 October in Australasia and 20 October 2009 in North America. It is available for the PlayStation 3, Xbox 360, Microsoft Windows, PlayStation 2 and Wii. Handheld versions of the game were also released for the iOS, Nintendo DS, PlayStation Portable, and mobile phones. A mixtape with La Roux entitled "Lazerproof" was made available for free download on 26 May. Diplo posted cover art on his Twitpic. It is the character Major Lazer in War Machine's silver suit, Elly Jackson of La Roux in the signature Iron Man suit, and Whiplash, the villain in the Iron Man 2 movie. On 20 June 2010, the group released an EP titled Lazers Never Die . 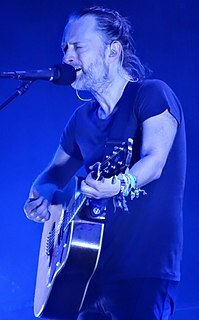 It contained two new songs and three remixes, by Thom Yorke and others. 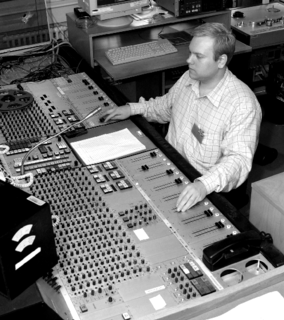 Switch provided production for Beyoncé's "Run the World (Girls)", which sampled "Pon de Floor". Major Lazer also features in the track, "Look at Where We Are", from the extended version of Hot Chip's album In Our Heads , released June 2011. La Roux is an English synth-pop act formed in 2006 by singer Eleanor "Elly" Jackson and record producer Ben Langmaid. Their debut album La Roux (2009) was a critical and commercial success, winning a Grammy Award and producing hit singles such as "In for the Kill" and "Bulletproof". Recording of a follow-up album was marred by unsuccessful collaborations, the cancellation of two planned release dates, and reported conflict between the duo. 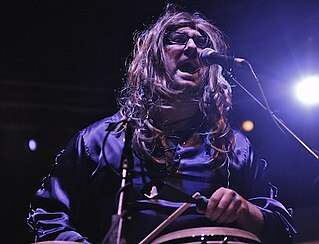 Langmaid ultimately left the group, and Jackson released a second album, Trouble in Paradise, in 2014, maintaining the former duo's name. Lazers Never Die is the first extended play (EP) by Major Lazer, released on July 20, 2010 by Downtown Records. It includes the brand-new song "Sound of Siren", and four remixes of songs from the album Guns Don't Kill People... Lazers Do. Diplo and Jillionaire performing at the Congress Theater, Chicago, in 2013. A hype man/hype gall, in hip hop music and rapping, is a backup rapper and/or singer who supports the primary rappers with exclamations and interjections and who attempts to increase the audience's excitement with call-and-response chants. Music writer Mickey Hess expands the term as follows: "a hype man is a figure who plays a central but supporting role within a group, making his own interventions, generally aimed at hyping up the crowd while also drawing attention to the words of the MC". Major Lazer partly produced UK singer Rita Ora's debut album, Ora . Major Lazer worked with No Doubt for their sixth studio album, Push and Shove . The album's title track features producers Major Lazer and Jamaican reggae artist Busy Signal, and was released as a promotional single in August 2012. Major Lazer launched their Fall Tour 2012 in October, with shows in Oakland, Washington, D.C., Boston, and New York City, amongst others. In February 2013, Major Lazer signed with indie record label Secretly Canadian. At the same time, they announced the new release date, 16 April, for their album Free the Universe . They also announced the Free the Universe 2013 World Tour, which ran through the spring of 2013. On February 8, 2015, during the Grammy Award ceremony, Diplo revealed details of the third Major Lazer album. He confirmed that the album would incorporate artists such as Ariana Grande, Ellie Goulding and Pusha T, and would be titled Peace is the Mission . Four promotional singles were released; "Roll the Bass" on March 23, 2015, "Night Riders", a collaboration with Travi$ Scott, 2 Chainz, Pusha T and Mad Cobra, released on April 20, 2015, and "Too Original", a collaboration with Elliphant and Jovi Rockwell, released on May 11, 2015. On June 2, 2015, a lyric video was released for "Be Together", a collaboration with Wild Belle, making it the fourth promotional single. The second single from the album, titled "Powerful", featured English singer-songwriter Ellie Goulding and Jamaican singer Tarrus Riley. It was released simultaneously with the album, and was added to BBC Radio 1's playlist on June 21, 2015. It reached the Top 10 in Australia and Poland. The album was released on June 1, 2015. It featured artists such as Machel Montano, Wild Belle, Pusha T, Ellie Goulding, and Ariana Grande. It peaked at number 12 on the Billboard 200 chart and received general critical success. In an interview with inthemix on May 22, 2015, Walshy Fire announced that Major Lazer's fourth studio album would be titled Music is the Weapon and that it would be released late 2015 or early 2016. The album never arrived in 2015 or 2016, though Diplo did reveal on April 27, 2015 during an interview with Belgian radio station Studio Brussel that Major Lazer was working on a new track with Belgian singer Selah Sue, and that it might appear on their next album. Selah Sue herself had confirmed this during an earlier interview with the same radio station on May 4, 2015. On November 5, 2015, Major Lazer featured on Katy B 's single '' Who Am I '' alongside Craig David. On June 1, 2017, Major Lazer released a six-song extended play titled Know No Better, with the title track featuring Camila Cabello, Travis Scott, and Quavo. The EP's second single, "Sua Cara", features Brazilian musicians Anitta and Pabllo Vittar. Several remixes of the EP's title track have since been released. "Push and Shove" is a song by American rock band No Doubt, released as a promotional single from their sixth studio album of the same name. The song was written by Gwen Stefani, Tony Kanal, Tom Dumont, Reanno Gordon, Thomas Pentz, David Taylor, Ariel Rechtshaid and was produced by Major Lazer and Spike Stent. It features additional production from Major Lazer as well as vocals from Jamaican dancehall artist Busy Signal. The song blends ska, dub, reggae and dubstep. "Jah No Partial" is a song by musical project Major Lazer from their second studio album Free the Universe. The song was published worldwide in October 22, 2012, and released digitally in 2013. The song features English dubstep producer and DJ Flux Pavilion. Jamar McNaughton, popularly known as Chronixx, is a Jamaican reggae artist. His stage name replaced the name "Little Chronicle" which he was given because of his father, the singer "Chronicle". Chronixx and his music has been branded as a "Reggae Revival", alongside other reggae musicians including Dre Island, Jah Bouks, Jah9, Protoje, Kelissa, Jesse Royal, Keznamdi and Kabaka Pyramid. His lyrical content revolves around themes of anti-war, romantic declarations and resiliency. Christopher Leacock, better known by his stage name Jillionaire, is a Trinidadian DJ and music producer. He is better known for being a member of the American electronic music group Major Lazer, along with Diplo and Walshy Fire. In 2014 he released then EP Fresh along with Salvatore Ganacci on the Universal Music label. Leighton Paul Walsh, better known by his stage name Walshy Fire, is a Jamaican American DJ, MC and record producer who is better known as part of the dancehall reggae-influenced group Major Lazer alongside fellow DJs Jillionaire and Diplo. Walshy Fire toured with the Black Chiney sound system beginning in 2004. Black Chiney is cited as a significant influence on the evolution of Major Lazer with its mash ups that blend hip hop or R&B rhythms with reggae & R&B artist vocal tracks and its representation of the Jamaican sound system. The subsequent mix tapes that the Black Chiney collective of DJ's, engineers and MC's would develop were the training ground for Walshy to become a remix producer. American DJ and record producer Diplo has released one studio album, seven EPs, five compilations, four mixtapes, one live album and a series of singles, music videos and other appearances. His alias, short for Diplodocus, derives from his childhood fascination with dinosaurs. During his rise to fame, Diplo worked with British musician M.I.A., an artist who is credited with giving him exposure in his early career. Since then, Diplo has worked on production and mixtape projects with many other pop artists, such as Die Antwoord, Britney Spears, Madonna, Shakira, Beyoncé, No Doubt, Justin Bieber, Usher, Snoop Dogg, Chris Brown, CL, and G-Dragon. As an artist, Diplo, combined with his other collaborations Major Lazer, Jack Ü and Silk City, three electronic groups. Music Is the Weapon is the upcoming fourth studio album by American electronic band Major Lazer. First announced in 2015, many conflicting statements have been made, with the latest reports being that it will be the final Major Lazer album. ↑ "Listen to Major Lazer's Jillionaire Join Forces With Soca Star Bunji Garlin on 'Television' (Exclusive)". Billboard. Retrieved 2017-06-24. ↑ Jeffries, David. Peace Is the Mission at AllMusic . Retrieved July 19, 2015. ↑ Blistein, Jon. "Snoop Lion and Major Lazer Host Raucous Bash in Austin". Rollingstone.com. Retrieved 19 September 2016. ↑ "Billboard Dance 100 Artists of 2018: The Complete List". Billboard. Retrieved 2018-03-23. ↑ "The Chainsmokers named top DJs in the world by Billboard". WJBD Radio. Retrieved 2018-03-23. ↑ Dacks, David (6 May 2012). "Major Lazer Shoots To Thrill • Interviews •". Exclaim.ca. Archived from the original on 14 July 2012. Retrieved 16 April 2013. ↑ "Major Lazer (Diplo + Switch) to Release "Digital Reggae" LP | News". Pitchfork. 13 March 2009. Retrieved 16 April 2013. ↑ "Diplo takes Mad Decent Downtown". SoundBleed. Retrieved 2016-01-27. ↑ FADER, The (16 June 2009). "We Part (and Make Magazines)". The FADER. Retrieved 13 November 2013. ↑ "Outside Lands 2011 lineup". brooklynvegan.com. Retrieved 20 October 2016. ↑ "Major Lazer, La Roux Team for Mixtape | News". Pitchfork. 24 May 2010. Retrieved 16 April 2013. ↑ "Major Lazer Bio". Top40-charts.com. Retrieved 20 October 2016. ↑ "UPDATE: Major Lazer's Free The Universe Release". Nymn.com. 11 September 2012. Retrieved 23 September 2012. ↑ "Diplo wanted Rihanna or Nicki Minaj to sing on Lean On" . Retrieved 2016-08-04. 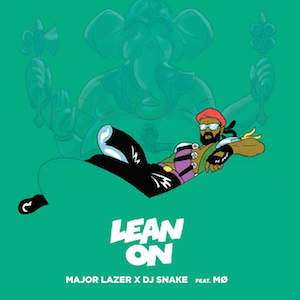 ↑ "Major Lazer & DJ Snake's 'Lean On' Becomes Spotify's Most-Streamed Song of All Time" . Retrieved 2016-08-04. ↑ "Diplo's Major Lazer Announce New Album Peace Is The Mission Featuring Collaborations with Pusha T, Ellie Goulding, 2 Chainz, Ariana Grande, More" . Retrieved 13 May 2015. ↑ "Major Lazer are "almost sure" they'll be in Australia this summer" . Retrieved 27 May 2015. ↑ "Major Lazer neemt nummer op met Selah Sue" . Retrieved 1 June 2015. ↑ "Major Lazer Announce Expanded Edition of Peace Is the Mission". Pitchfork. ↑ "Diplo is the most Shazamed artist of 2015" . Retrieved 9 December 2015. ↑ "Major Lazer, Justin Bieber & MØ Throw 'Cold Water' On Drake, Top Charts In Australia & More" . Retrieved 2016-08-04. ↑ "Major Lazer Name New Album 'Music Is the Weapon'" . Retrieved 2017-10-08. ↑ "Major Lazer Sample Toots and the Maytals on New Song "My Number": Listen - Pitchfork". pitchfork.com. Retrieved 12 August 2017. ↑ "Major Lazer & Bad Royale - My Number". Youtube.com. 5 December 2016. Retrieved 12 August 2017– via YouTube. ↑ ""My Number - Single" by Major Lazer on iTunes". iTunes.apple.com. Retrieved 12 August 2017. ↑ "Major Lazer cartoon series to premiere on FXX next month". Consequence of Sound. Retrieved 27 March 2015. ↑ "Billboard Music Awards 2016: See the Finalists". Billboard. Retrieved 12 March 2017. ↑ "AMAs 2016: See the Full List of Winners". Billboard. Retrieved 21 November 2016. ↑ "Here's The Complete List Of #iHeartAwards Winners | iHeartRadio Music Awards | iHeartRadio". iHeartRadio. Archived from the original on 6 March 2017. Retrieved 12 March 2017. ↑ "Kids' Choice Awards 2017: Full Nominees and Winners List". Us Weekly. Retrieved 12 March 2017. ↑ "Drake, The Chainsmokers Lead Nominees for the 2017 Billboard Music Awards". Billboard. Retrieved 11 April 2017. ↑ Ceron, Ella. "The Pretty Little Liars Were ALL Nominated for the Same EXACT Award". Teen Vogue. Retrieved 21 June 2017. ↑ "MTV Video Music Awards 2017 nominations". BBC News. 25 July 2017. Retrieved 26 July 2017. ↑ Rishty, David (August 8, 2017). "The Chainsmokers, Justice, Eric Prydz & More Nominated for 2017 Electronic Music Awards". Billboard . Retrieved September 1, 2017. ↑ "NOMINEES 19th Annual Latin GRAMMY Awards" (PDF). The Latin Recording Academy . Retrieved September 23, 2018. Wikimedia Commons has media related to Major Lazer .